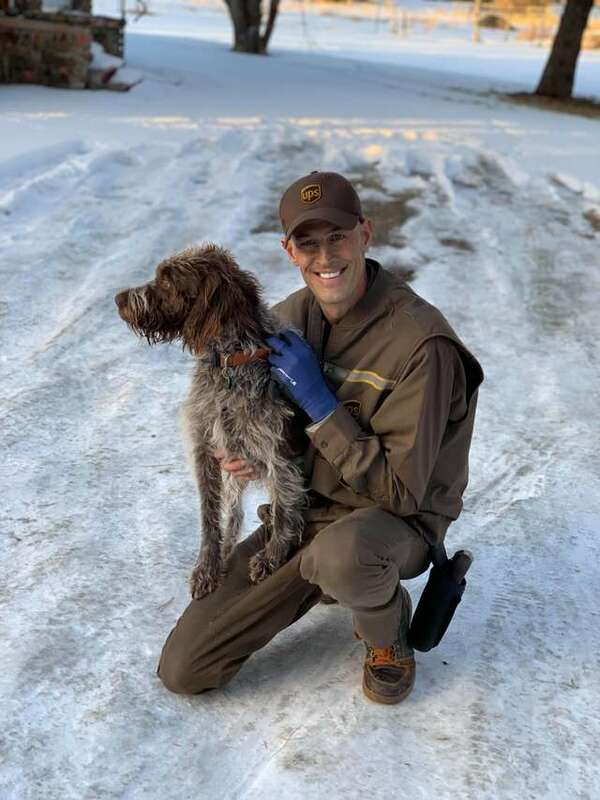 For Ryan Arens, a deliveryman for UPS, the weeks leading up to Christmas are very busy and often hectic. So, when Ryan was out in his hometown of Bozeman, Montana delivering packages he was focused on the task at hand. However, as he was out and about he heard a strange sound that seemed like a cry for help. He wasn’t sure what was happening, but as he drove his truck around a pond he saw something odd. 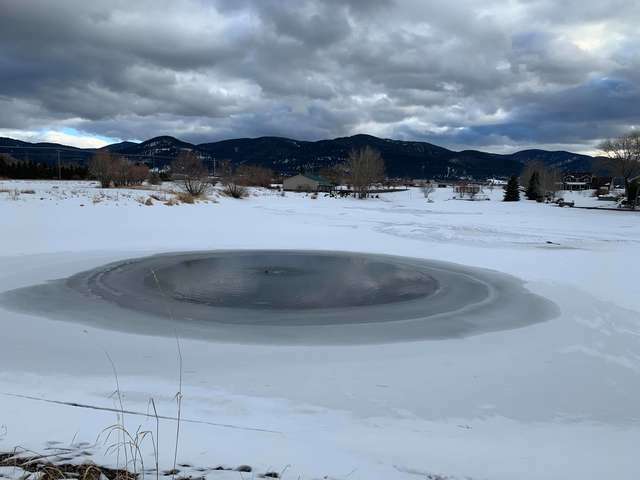 In the center of the frozen pond was something dark floating in the water. It was very cold outside and the ice in the center was not frozen and he realized it was a dog in the water. As he got closer he realized the dog was struggling to cling to the ice and was crying out for help. Ryan ran over to the pond and was so worried about the dog. He realized there were people gathered on the shore and a man was even out in a paddleboat trying to get closer to the dog in distress. Without another thought, Ryan took off his uniform and stripped down to his underwear and got into the boat and headed out onto the very thin ice. He got out of the boat but was so concerned about the ice cracking—and sure enough it did. So, he swam out in the cold water to the dog and grabbed her by the collar and swam back o the ice. The dog was loaded into the boat and got back to the shore where neighbors gave him a blanket for the dog. 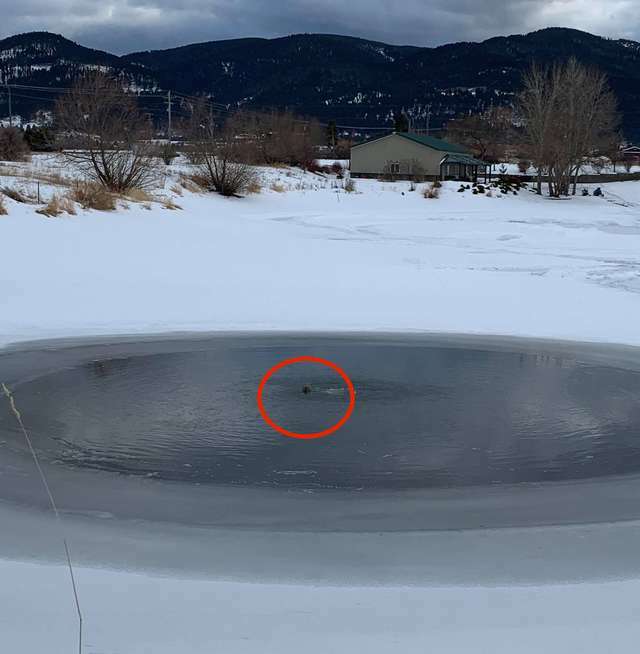 The dog couldn’t stand because she was so cold and in shock from the experience, but a man on the shore was a retired veterinarian and knew just what to do. They warmed the dog up and soon realized they had saved her life at just the right time. 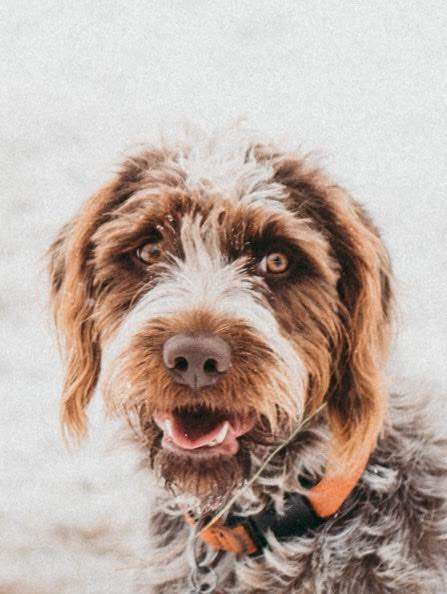 Her owners were looking for her, too: the dog, whose name is Sadie, had been playing outside when she ran off and probably saw the duck decoys floating in the pond. 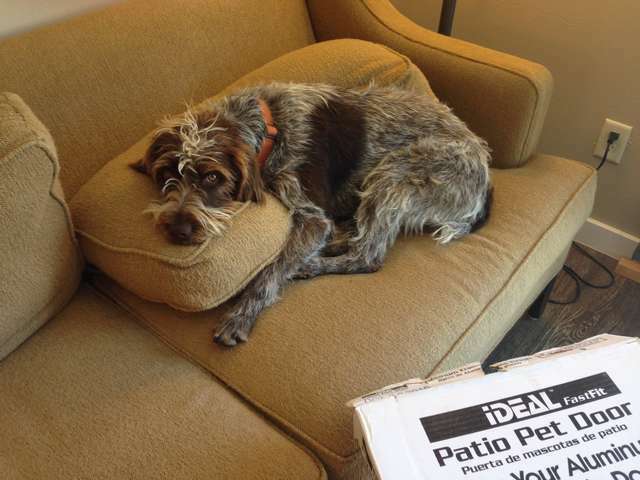 Ryan quietly slipped away, but the next day on his route he delivered a package to Sadie’s house-and got to meet her and her owner in person. She (and her owner) were so happy to see him and thank him for his bravery.